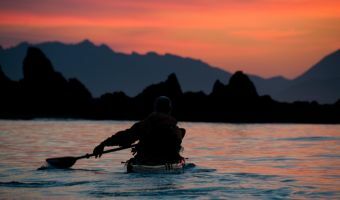 West Coast Expeditions' managing owner, and guide Dave Pinel, is thrilled to be an event sponsor and participate in the inaugural Pacific Paddling Symposium this May at Pearson College near Victoria. Dave first learned to roll a kayak and began sea kayak touring - and guiding - in 1985 as a student at Pearson College! 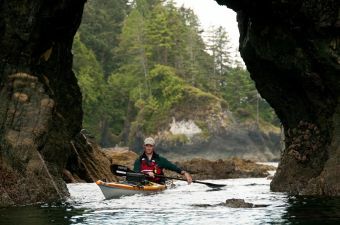 He didn't then anticipate becoming a sea kayak guide trainer and examiner (SKGABC), facilitating North Island College's Adventure Guiding Certificate, nor owning and managing one of BC and Canada's premiere wilderness retreats for sea kayak touring on the remote and rugged coast of Vancouver Island. "Kudos to all who've collaborated to produce this long overdue symposium - what a great mix of coaches and sessions at a location that was formative in my own sea kayaking journey," reflects Pinel, adding that, "We look forward to hosting Friday night's Happy Hour in the Student Commons Room which is a magical setting that is perfect for launching the Symposium: a place for real conversations and connections with people who are, or will become, part of your life story." For Pinel and West Coast Expeditions, the sea kayak is an amazing craft and tool for accessing SO MUCH MORE.